08. Dez – R.A. 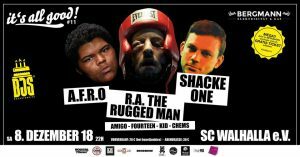 The Rugged Man, Shacke One & AFRO \\ It’s all good! 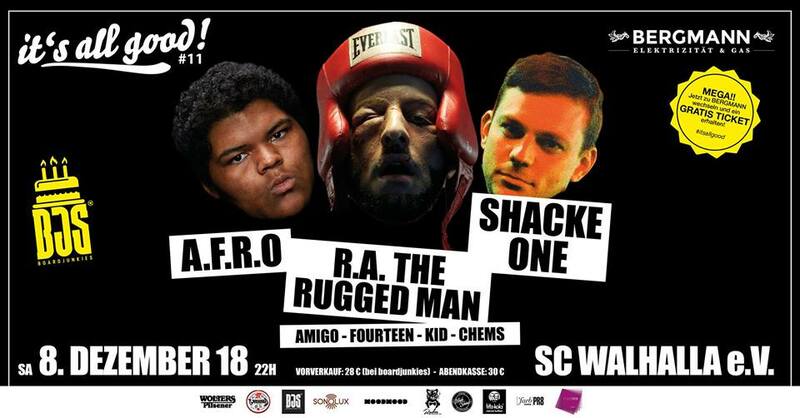 #11 – Why-O-Land | SC Walhalla e.V.